At SeedSpark, we know the value of computer security. 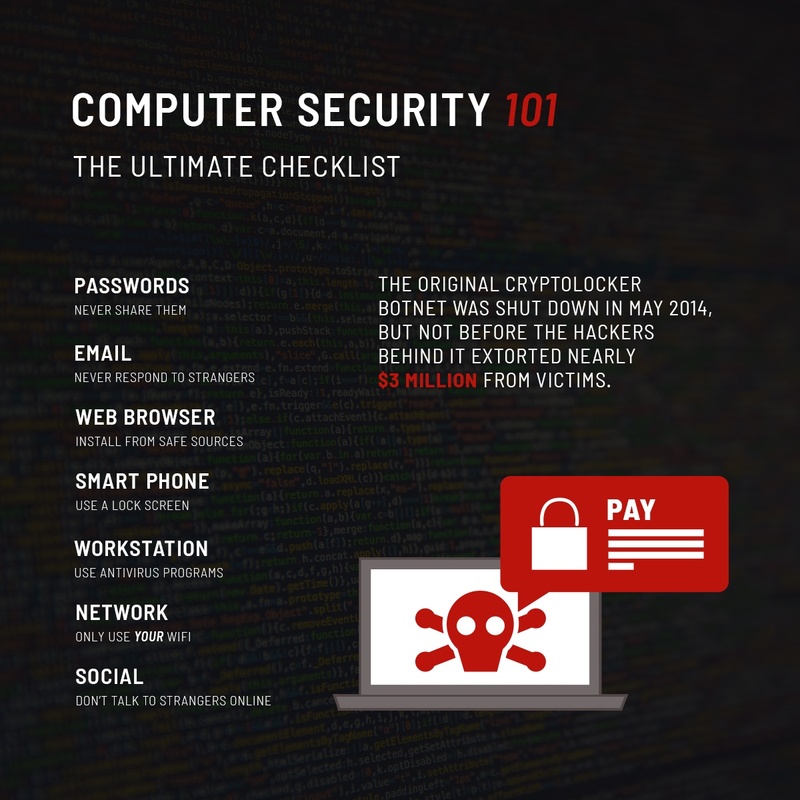 As a business owner or IT professional, you understand the value of your computers’ security. 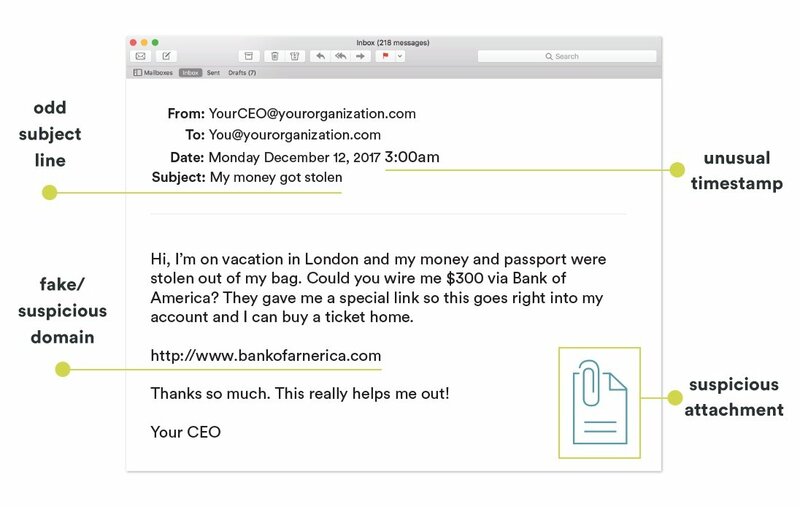 Communicating the importance of computer security to every employee in your business, however, can often prove to be a challenge. Remember, every security best practice is a trade-off between convenience and safety. Users who don’t understand the stakes involved in computer security won’t often give up their convenience. Below are seven key aspects of computer security that all IT admins should teach their users. Here’s an easy way to tell if someone is trying to steal information from you; or do damage to your technology: They ask for your password. It’s perfectly okay to open an email from someone you don’t know, and it’s perfectly safe to read it. But unless you’re really sure that the email is legitimate, don’t act on it. Don’t reply, don’t click, and don’t download. To do otherwise is to make yourself a target. When you see a message in your web browser that tells you to install anything, stop. That app that offers to save you time, money, or let you view a video might be malware, as in software designed to do damage or help out hackers. Check with your IT advisor to obtain their approval before you install anything from your web browser. Your smartphone or tablet is designed for quick, easy access to all your data. No one wants to have to log into their Gmail inbox or Facebook account on the go—much of the value of a smartphone is that it can stay logged into these services and notify as soon as you receive a message or an update—so smartphone versions of these apps let you stay logged in for weeks at a time. In many cases, the same thing is true for your personal banking app or the app you (almost never) use from your insurance company. This means that anyone who gets ahold of your phone can probably read your email, raid your bank account and maybe even scroll through medical history without ever needing to know a single username or password. Always use a lock screen - every smartphone and tablet have one. Use it. A “security suite” is what computer nerds call an antivirus program, mostly because a security suite does a whole lot more than antivirus software ever used to do. Security suites protect your system from viruses—and malware, spyware, and network attacks. Not all malicious programs are viruses. Some programs present themselves as useful, but are spyware. For example, a program that offers to alert you to discounts or deals, but also secretly monitors everything you do online. Your security suite should detect that and disable these kinds of software. A Wi-Fi access point named “Free Hotel Wi-Fi” or “Conference Center Guest” or “Coffee Shop Network” might not be provided by the hotel, convention center or cafe. Anyone can create a Wi-Fi access point with that name. It may be very difficult to identify the difference—hence the name for this type of attack: The evil twin. The evil twin access point looks legitimate, but isn’t. When you connect your device to an evil twin, the attacker may access all the data that travels through the access point. No matter how good the locks are on your front door, they don’t matter if you invite a thief into your house. We’ve discussed the dangers of letting others borrow your smartphone or workstation, but those are just two examples of a so-called “social engineering attack” - which is a fancy term for hackers using con artist tricks to get around your computer security, rather than attacking your hardware or software directly. An informed and alert person remains the best defense against such attacks. Everybody you just met is a stranger, no matter what they claim to “know” - the best advice for online and in person as well. SeedSpark knows that computer security can be complicated and intimidating for the average user. It’s tempting to simply give your users a list of things to not do and demand they follow it, no matter how annoying or confusing those instructions might be. We also know that if you take the time to explain why your company uses certain types of security software, or requires specific security procedures, your users are much more likely to take these lessons to heart. User error is one of the leading causes of data loss but, with a little education, you can reduce the risks of your users damaging or disclosing your business data. Interested in learning more about computer and network security? Join us and our panel of experts on March 22, 2018 at the Olde Mecklenburg Brewery from 3 pm – 6 pm as we discover best practices for business continuity, discuss critical cyberthreat and InfoSec trends, identity strategies to prevent technology exploitation, network with forward-thinking business leaders and collaborate with the local tech community.